This LP by the fabulous Drifters is a one record 'hit parade' all to itself! On it you'll find five smash hits('Save The Last Dance For Me', 'I Count The Tears', 'Sweets For My Sweet', 'Please Stay' and 'Some Kind Of Wonderful') combined with four substantial chart items and three brand new sides ('Mexican Divorce', 'When My Little Girl Is Smiling' and 'Jackpot'). 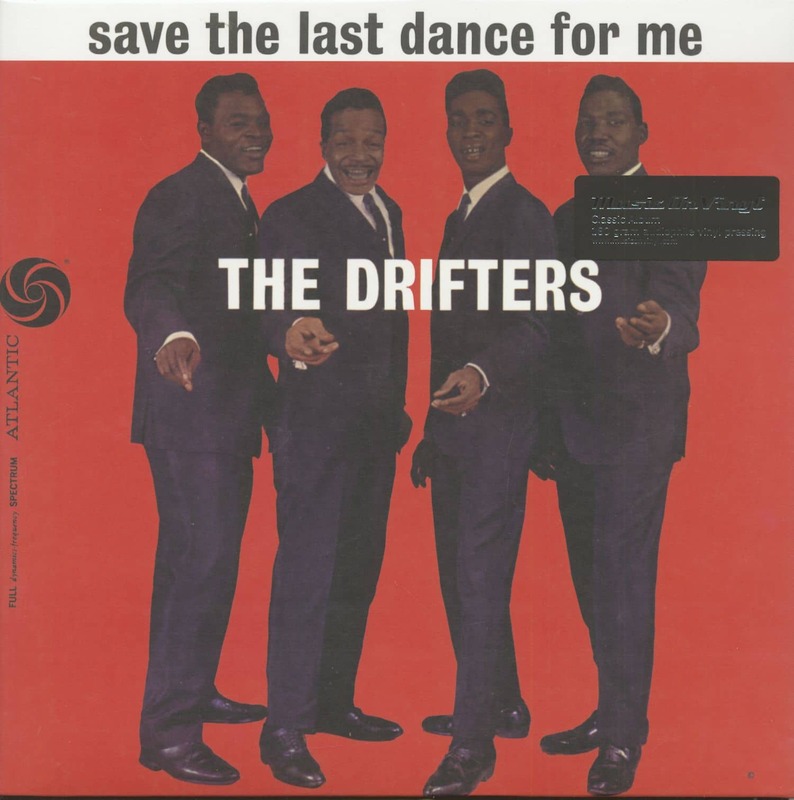 Groups may come and groups may go, but The Drifters have held together for so long that they have become a respected tradition in the music business—and, incidentally, dis-proved the theory that most groups are good for only a hit or two before they vanish into oblivion. 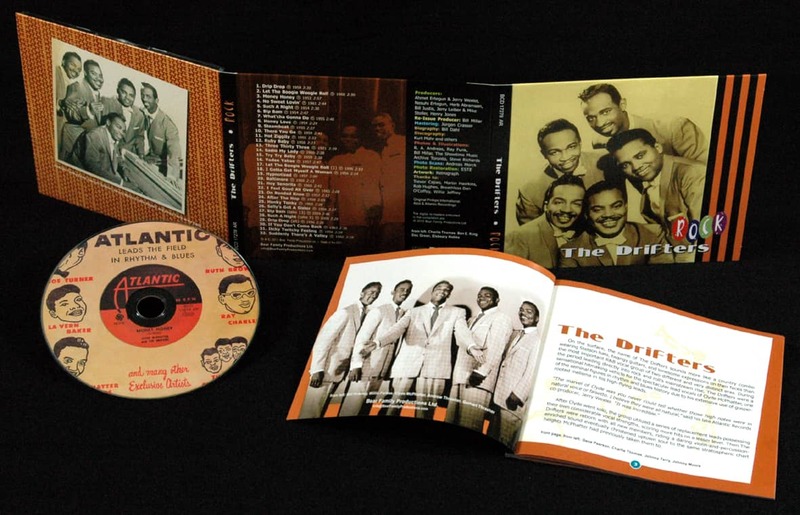 Because of their ability to keep coming up with at after hit over an extended period of time, The Drifters have entered the golden circle and are firmly established along with such all-tirne great groups as The Ink Spots and The Platters. The Drifters have never been a group to stand still, literally or musically. One of their managers, George Treadwell, explains it this way: 'The Drifters have introduced many sounds that have become firmly entrenched in the record business. Once they are established, people often forget where they carne from. But that doesn't bother them - as long as they are the innovators and come out with it first. 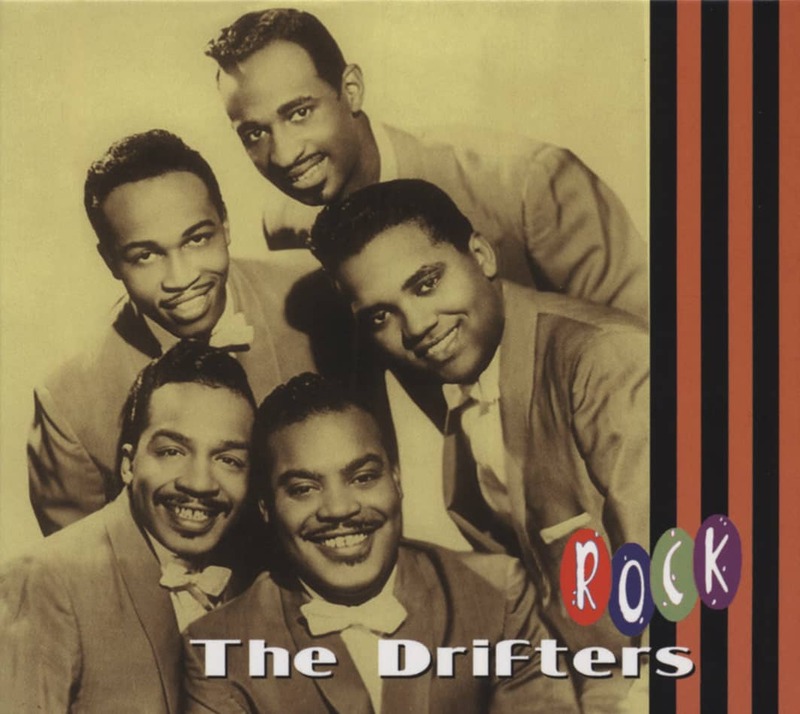 The Drifters were the first, for instance, to use strings and guitar, with a rock and roll beat behind it, on their records. Sounds nutty - but. boy, did it work!' It worked so well that today this 'Drifter sound' is one of the most imitated by other groups in the business. 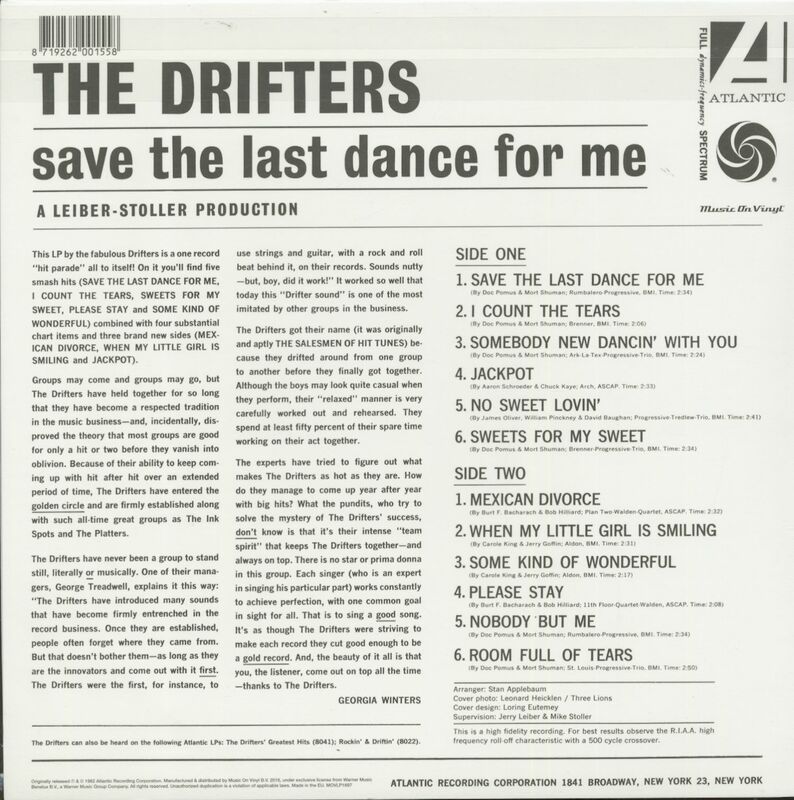 The Drifters got their name (it was originally and aptly 'The Salesmen Of Hit Tunes') because they drifted around from one group to another before they finally got together. Although the boys may look quite casual when they perform, their 'relaxed' manner is very carefully worked out and rehearsed. They spend at least fifty percent of their spare time working on their act together. Customer evaluation for "Save The Last Dance For Me (LP, 180g Vinyl)"